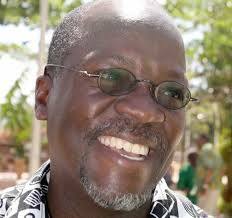 A Senior University lecturer in Tanzania has been charged with insulting President John Magufuli in a WhatsApp message. REUTERS reports that insulting the president was made a criminal offense in Tanzania under a cybercrimes law passed last year, punishable by up to three years in jail, a fine of around $3,000, or both. Julius Mjengi, police chief of the south-west Tanzanian town of Iringa told Reuters, "The senior university lecturer was arraigned in court yesterday, and I think he was later released on bail''.